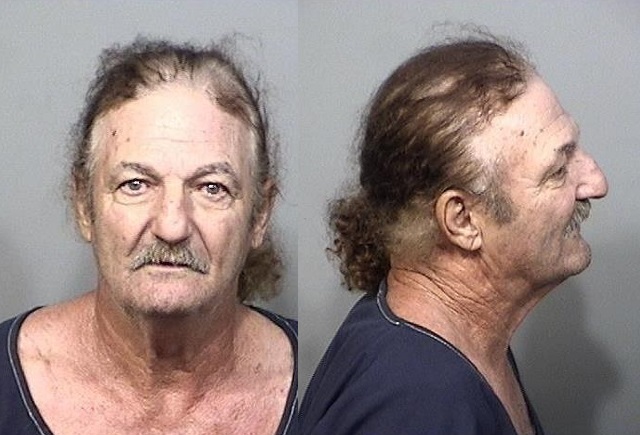 WEST MELBOURNE, Florida - A homeless man was arrested for allegedly sexually battering a teenager girl he met at the Melbourne Square Mall. On Monday, November 27, 2017, West Melbourne police officers interviewed the 14-year-old female who identified the male suspect as 67-year-old Raul Martinez-Sanchez. The teen told police that she was walking down West New Haven Avenue when Martinez-Sanchez made contact with her and befriended her. He was ultimately able to convince the girl into coming back to a garage he was purportedly living in at 44 McClain Drive in West Melbourne, Florida. Once at the location, Martinez-Sanchez allegedly gave the teen several beers and ultimately committed a forcible sexual battery. The victim told police that she was able to get loose and punched Martinez-Sanchez several times before fleeing the residence. She then called 911 and her family. Police say that Martinez-Sanchez is homeless and had moved into the garage for several months. The property owner told police that Martinez-Sanchez was hired for the clean-up of rental properties and was unaware he had moved into this garage used for storage. Police served Martinez-Sanchez with an arrest warrant and also served a search warrant at 44 McClain Drive where investigators were able to recover several of the teen's items. Martinez-Sanchez was booked into the Brevard County Jail on a $210,000 bond. He was charged with Sexual Battery on a Person 14 to 16 Years of Age, False Imprisonment, and Contributing to the Delinquency of a Minor. In 2014, another teen was lured from the Melbourne Square Mall and sexually assaulted in nearby woods.